Starting from its journey as server and web application development tool, within these past 17 years, ASP.NET has seen a lot of up-downs, become more mature and earned respect from the enterprises across the world! Started with the initial release of .NET 1.0, Active Server Pages, MVC architecture and now ASP.NET Core, Microsoft has piled up series of successive versions of this amazing framework to let it be in a competition with other technologies in the market. Today, ASP.NET Core has become much-in-demand from the businesses across the globe and even companies offering asp.net development services have started considering .NET core for the future growth. Alright, but why to go for ASP.NET Core? What are the reasons to migrate from conventional asp.net development services to the ASP.NET Core development? Well, here we’ve tried to list down few reasons that definitely make sense to go for ASP.NET core instead of going for conventional asp.net development services. What has changed in ASP.NET Core 1.0 for the ASP.NET developers? This might be the first thing come in your mind if you’re planning to go for asp.net application development services for your first project. * Well, first thing that is attracting all the asp.net developers is elimination of System.Web and all the other stuff that was coming with it. * ASP.NET Core is an open source platform. Moreover, Microsoft has spent tons of money to latterly make it cross-platform. This means now you’ve got a new CoreCLR as an alternative of Mono. * No more integration of Node.JS for your project. This means it can be now utilized for pre and post build events with the help of Gulp or Grunt. * Compatibility with MAC is the key plus point of ASP.NET Core 1.0. Replacement of .csproj with project.json and shipping all the framework libraries as NuGet packages, these are clear steps to streamline development on MAC with ease. So, if you’re running asp.net development company and wish to extend your offerings beyond windows platform, the .NET core is all you want! Visual Studio is no more restricted to the Microsoft or windows machine! With the launch of Visual Studio Code, Microsoft went a step further and made the IDE available for everyone. * Improved performance is the key benefit! Well, this is the utmost priority nowadays and .NET Core 1.0 promises a lot from the performance perspective. With optimized code, a professional asp.net development company can help you get the solution making a huge stride in performance. * Ease of maintenance promises faster resolution of the problems faced. When you have a less code to manage, of course, it will bring more flexibility in terms of maintenance of the application you are developing. However, it is important that you’re aware of all the latest enhancements and changes in the language, syntax or library. * Unified MVC and Web API bring more power to build Restful services with the help of JSON or XML. 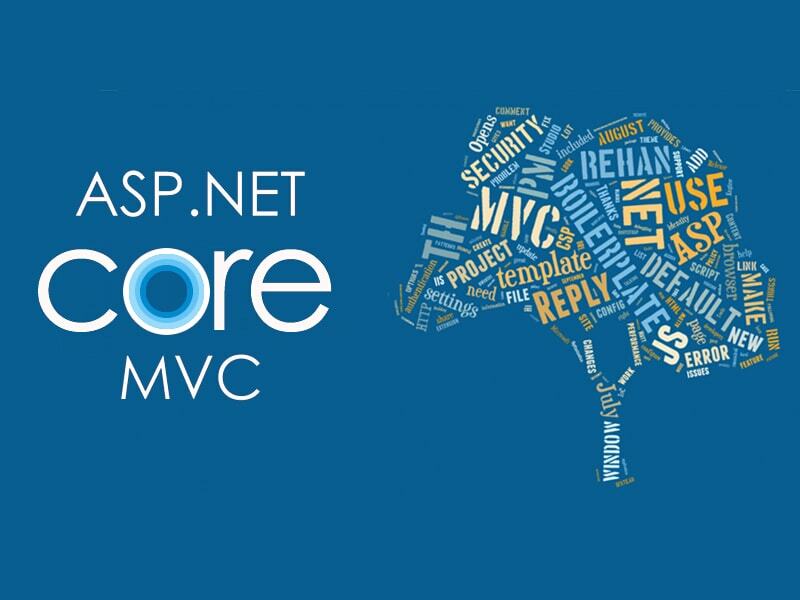 Earlier if you take any professional asp.net development company, the team of developers was juggling to come over the gap between MVC and Web API frameworks. But with ASP.NET Core, they’ve simplified the development hurdle. * Get more environments and development modes. One of the most interesting features of .NET Core 1.0 is that it allows creating a new environment. This helps you streamline a different portion of your code and define how it will behave in a different environment like development, staging, production and so on. * Leverage from built-in dependency injection! Now you can easily control and manage how various stuff like logging contexts, database contexts etc. passed into the MVC controllers. * ASP.NET is known for its massive support for WebSockets. If you are having a requirement to have long connections and frequent communication between browser and application, WebSockets can useful. * Leverage from self-hosted web applications. It might be possible that application you’re developing is going to be deployed on a desktop, not on an IIS server. It is not a new thing to develop self-hosted applications using earlier ASP.NET versions, but with ASP.NET Core, you can leverage from the standard Kestrel web server to host your applications. Extensible output caching, globalization and localization, OpenAPI, CSRF Protection and a lot more are other benefits that encourage you to go for .NET Core for your future applications. Based on the above discussion, it is proven that compared to the earlier versions, .NET Core is, of course, a definite choice. Want to know more about it? Of course, you can get in touch with a professional asp.net development company to get the maximum benefit of Microsoft’s .NET Core framework! Some truly grand work on behalf of the owner of this website, great articles. Previous PostPrevious Social Media App Development – Things To Ponder For A Successful Social Media Venture! XongoLab delivers each service with a passion and zeal to secure results and benefit the clients. As the top-most web and mobile application development company it breathes life into dreams and visions and transforms them into live examples of perfection. We code to succeed. A Web & Mobile App Development Company India © 2019 by XongoLab Technologies LLP - All Rights Are Reserved.